Uganda: Why Is FSC Certifying Land Disputes and Human Rights Abuses at Mount Elgon? How many more people will be killed at Mount Elgon before FSC realises that the national park should not be FSC-certified? By Chris Lang. Published in WRM Bulletin 127, February 2008. 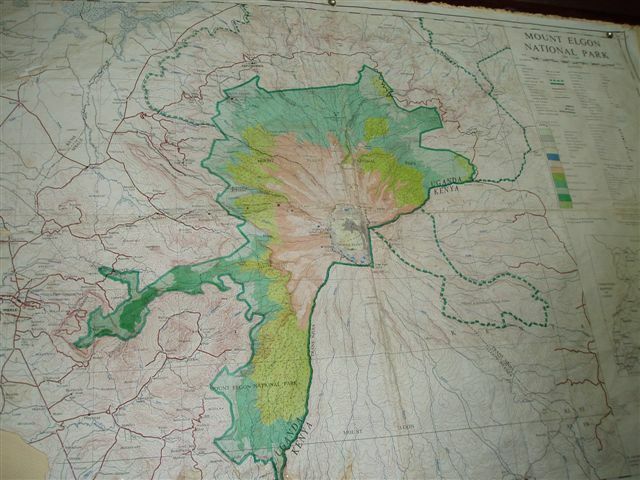 Mount Elgon has seen major land disputes since it was declared a National Park in 1993. Villagers were evicted from the park in 1993 and again in 2002. The area surrounding the park has a high population density and farmers have little choice other than to keep going back into to the park to plant their crops. Violence has flared between the Ugandan Wildlife Authority (UWA), the agency responsible for managing the park, and villagers trying to make a living. Villagers say that UWA officials have threatened them, shot at them and sexually abused them. Several people have been killed. The situation is further complicated by a carbon offset tree planting scheme run by the Dutch FACE Foundation together with UWA. The FACE Foundation has been planting trees around the boundary of Mount Elgon since 1994. The trees are supposed to store carbon and the Carbon Neutral Company has been selling carbon credits from Mount Elgon since 2002 (the FACE Foundation and the Carbon Neutral Company share the same director, Denis Slieker). Currently the Carbon Neutral Company is not selling credits from Mount Elgon and UWA-FACE is not increasing the area of trees planted (currently around 8,000 hectares) because of the disputes. The 25,000 hectare UWA-FACE project area has been certified by the Forest Stewardship Council since 2002. In April 2007, SGS Qualifor, the FSC certifying body, visited Mount Elgon to carry out a reassessment of the tree planting project. After SGS’s assessors had arrived in Uganda, UWA requested SGS to certify the entire Mount Elgon national park. At a stroke, the area to be assessed increased from 25,000 hectares to 112,100 hectares. Undaunted, SGS’s team of four people assessed the entire National Park in three days. Mount Elgon national park. In 2007, the certified area increased from the pale green area around the boundary of the park, to the entire national park. SGS raised three major corrective action requests during their April 2007 reassessment. To comply with FSC rules, the certificate could only be issued once these corrective action requests had been met. SGS, however, issued a six month extension of the certificate. After a “close-out visit” by one SGS auditor in August 2007, SGS issued the certificate. This “close-out visit” did not involve visiting the area certified, or talking to any villagers. SGS is responsible for a series of controversial certifications. As documented by WRM in 2006, these include Mondi in South Africa and Swaziland, Norfor in Spain (now the subject of a formal complaint by Spanish NGO Asociacion Pola Defensa da Ria), V&M Florestal in Brazil (certificate since withdrawn, after a V&M guard shot and killed a villager), Smurfit Carton in Colombia, EUFORES and COFOSA in Uruguay and another project involving the FACE Foundation, FACE PROFAFOR in Ecuador. SGS also certified Barama, the Guyanese subsidiary of Malaysian-based logging company Samling. The certificate was withdrawn when an audit by ASI in November 2006 revealed that SGS had issued the certificate without an “appropriate evaluation against FSC certification requirements”. Having discovered that one of FSC’s Certifying Bodies is systematically not certifying in accordance with FSC rules, surely the only sensible course of action for ASI to take is to suspend SGS from issuing FSC certificates. Instead, ASI requested that SGS “implement appropriate measures to correct the nonconformity detected”. ASI made the same request a year earlier after auditing SGS’s certification of the Regional Directorate of State Forest in Bialystok in Poland. At Mount Elgon, ASI found that SGS had not taken any measures whatsoever, appropriate or otherwise. When SGS’s assessors visit villages around Mount Elgon, they do so in the company of UWA staff. Not surprisingly, SGS found that villagers were reluctant to talk about sexual abuse or human rights abuses at the hands of UWA rangers. In its public summary of the reassessment at Mount Elgon, SGS acknowledges that there are disputes over land at Mount Elgon. It also acknowledges that people have been killed. FSC criterion 2.3, which states that “Disputes of substantial magnitude involving a significant number of interests will normally disqualify an operation from being certified.” How many more people must die at Mount Elgon before SGS accepts that this is a dispute of “substantial magnitude”? In July 2007, Stephan Faris, a journalist from Fortune magazine, visited Mount Elgon. He reported serious land rights conflicts around the National Park and found that half-a-million of the FACE Foundation’s trees had been cut down in 2006. Villagers planted the cleared land with maize, green beans, passion fruit, avocado and bananas. But SGS prefers the ostrich position when it comes to news which might affect its decision to certify Mount Elgon. In September 2007, I wrote to SGS’s Gerrit Marais to ask him how SGS could issue the certificate given the land disputes at Mount Elgon. I sent Marais a link to the article in Fortune magazine and asked for his comments. “I am not aware of the article in Fortune,” he replied. 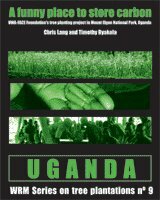 For more information about the history of Mount Elgon and about the conflicts, see Chris Lang and Timothy Byakola (2006) “‘A funny place to store carbon’: UWA-FACE Foundation’s tree planting project in Mount Elgon national park, Uganda“, World Rainforest Movement, December 2006. Stephan Feris (2007) “The other side of carbon trading“, Fortune magazine, 30 August 2007. 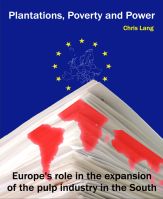 “Transparency Report“, Climate Neutral Group, June 2007. “Bestuur / Adres & route“, FACE Foundation website. “FSC Annual Surveillance of SGS Qualifor for 2007. Forest Management Audit to UWA-FACE Mount Elgon National Park (SGS-GM/COC-0980) and UWA-FACE Kibale National Park (SGS-FM/COC-0979) Uganda (UGA). 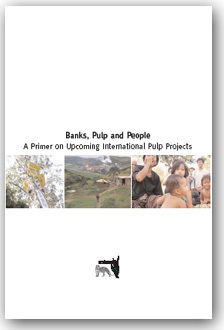 Date of audit: 16-21 April 2007“, Public Summary, Accreditation Services International, November 2007. 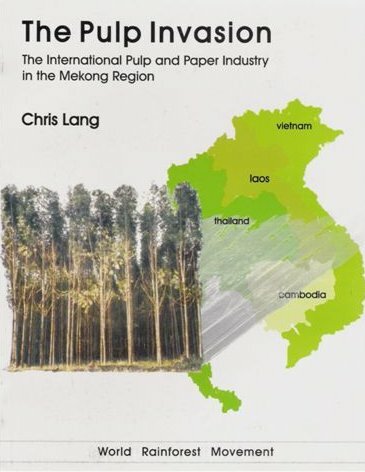 “Forest Management Certification Report. Section A: Public Summary“, SGS-FM/COC-0980, SGS Qualifor, 1 October 2007. 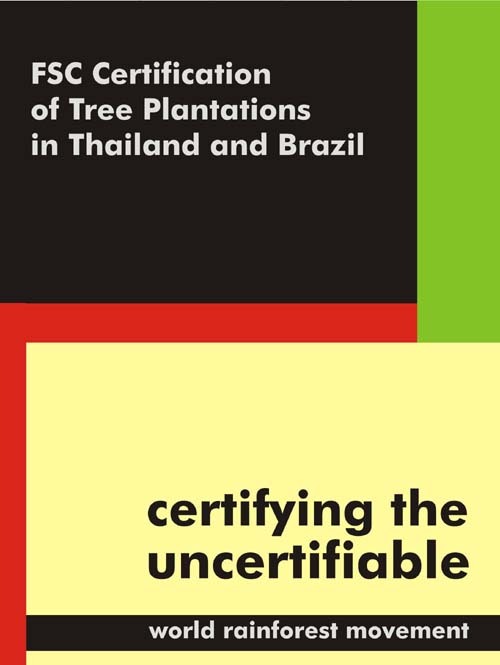 Ricardo Carrere (2006) “Certification of tree plantations by SGS and SmartWood: A history of controversial certifications“, World Rainforest Movement, March 2006. 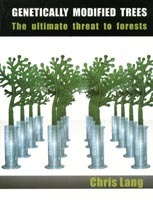 “FSC audit of SGS leads to suspension of largest tropical logging certificate“, FSC-Watch, 18 January 2007. “FSC Annual Surveillance of SGS Qualifor for 2006. Forest Management Audit to Regional Directorate of State Forest in Bialystok, Poland (SGS-FM/COC-0428). Date of audit: 09-12 May 2006“, Public Summary, Accreditation Services International, February 2007. SGS’s Public Summary (footnote 6) states that “Isolated incidents involving the death of people were recorded during stakeholder meetings.” SGS reports that a 10 year old child died while trying to escape from UWA rangers. According to UWA “the child was in a wrong place. It is a National Park and any activity to be undertaken in the park has to be authorised and/or need permission to enter. Secondly, children are not allowed in the park unless they are in a company of an adult. It was out of fear that the child realised she was in a wrong place and decided to ran away and fell off the cliff.” SGS also mentions that a ranger shot dead a man who attacked him with a machete. Whatever the rights and wrongs of these cases, what is clear is that there is a dispute between UWA and local people. I wrote to SGS’s Gerrit Marais on 7 September 2007. He replied on 13 September 2007.